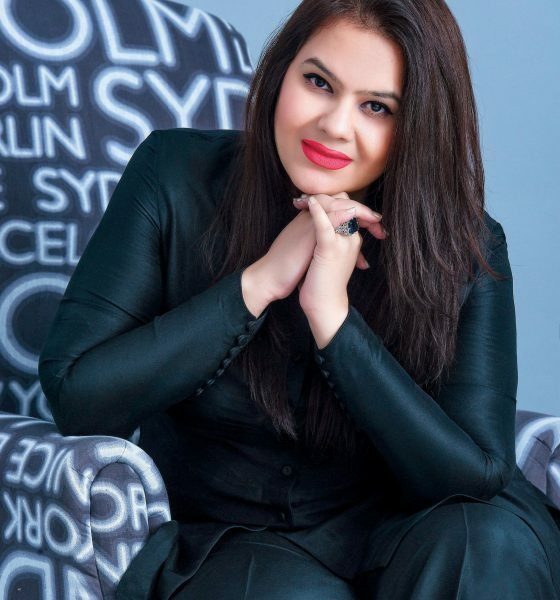 CO-FOUNDER OF SOUCHAJ, A PASSIONATE DESIGNER, DOTING MOTHER AND DEDICATED WIFE, MEHR KHAN IS THE PERFECT EXAMPLE OF TODAY’S MODERN AND ALL-ROUNDER WOMAN. Did you stumble upon your career or was it something that you always wanted? I used to work in the fashion industry for different high street brands. 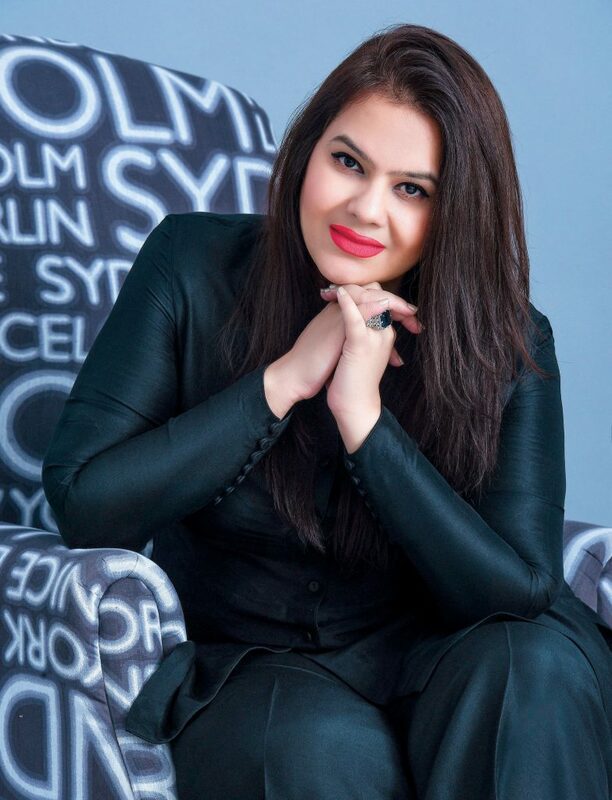 My husband, Shoaib Khan and my brother-in-law, Junaid Malik, encouraged me to let go of the employee tag and become my own boss. I have always dreamt big and that is how SOUCHAJ was created. What was your “aha!” moment? When I finally left my job and decided to work under my own banner. My greatest inspiration has been my better half- Shoaib Khan. He’s been the most supportive person whilst going forward with the venture. He has pushed me to keep going when I thought I had already reached my limits and has constantly helped and supported me throughout this journey. SOUCHAJ wouldn’t be what it is today, without the support and motivation of myhusband as well as Mehak (my sister) and her husband, Junaid Malik. When was the time you felt completely discouraged and how did you push through it? I have never felt discouraged but sometimes you do feel low. Nonetheless, we all have moments of inspiration and ways to fuel our creative vibes. What was the best advice that your mentor gave you? Don’t listen to what others have to say. What are the top 3 things you cherish in your life? 3. Last but not the least, I greatly cherish seeing SOUCHAJ grow every day. What is the #1 thing that is yet to be ticked off your bucket list? Scuba diving is definitely on the list! What does nobody tell you about being the boss? There are many wonderful women who fall into that category but Victoria Beckham definitely has to be right there. She was named Female Entrepreneur of the Year at this year’s Glamour. There is this thing she said that speaks volumes of her humility, “Many women look up to me as an achiever, but I’m someone who is still learning something new each and every minute.” This really teaches us how to deal with the rapidly rising success of SOUCHAJ, and how to keep pushing forward without getting too ahead of ourselves. Well it’s usually the same activities everyday. Wake up early in the morning to send my son to school. Take some time out for myself to get ready for work. Reach SOUCHAJ studio with an everlasting sense of passion, enthusiasm, and a new set of goals and aspirations each day. Mehak and I try to achieve the very best we can, for ourselves and for the business, each and every single day. This includes putting in the hard yards with co-workers, maintaining a certain standard of work and assuring quality, giving some helpful suggestions to our precious clients, and what not. The day must end with spending some quality time with the family. Someone who is bold, beautiful, and stays true to what she truly believes in and aspires to be..
Thankfully, I haven’t ever faced a “failure” as such. setbacks, sure, but nothing too serious. However, every minor setback just serves as a reality check for us and urges us to improve and get better than before. Which world leader would you most like to have dinner with? The Canadian Prime Minister, Justin Trudeau. I really admire him for how understanding and inclusive he is towards all kinds of people, irrespective of their cast, colour, creed or religion. He is the kind of leader every nation needs in this modern world. What advice would you give to young girls out there who have dreams and goals like yours? Keep striving. Follow your dreams. Enhance your passions. Dream big and work hard. There’s no substitute for hard work and effort. Just keep striving and don’t look back, you’ll reach there eventually.